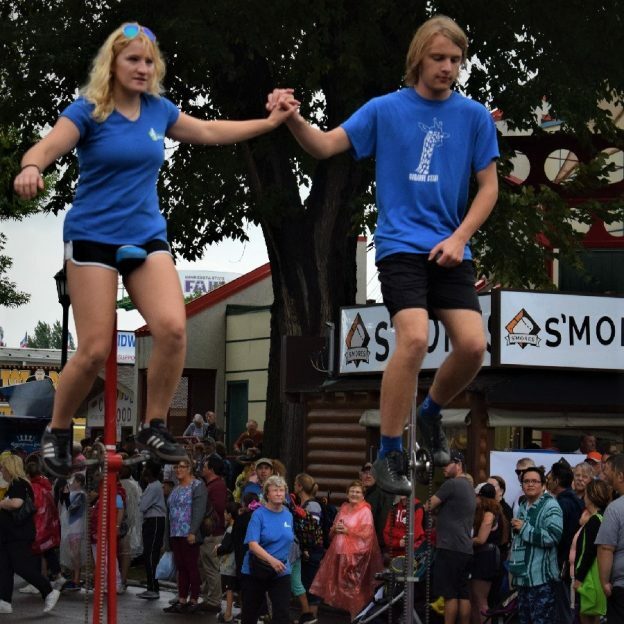 In this bike pic, shot at the Minnesota State Fair, we caught these two unicyclists having fun in the daily parade. What new thing will be on a stick at the 2019 MN Fair? Thanks for Viewing Our ‘Unicycle’ Bike Pic! 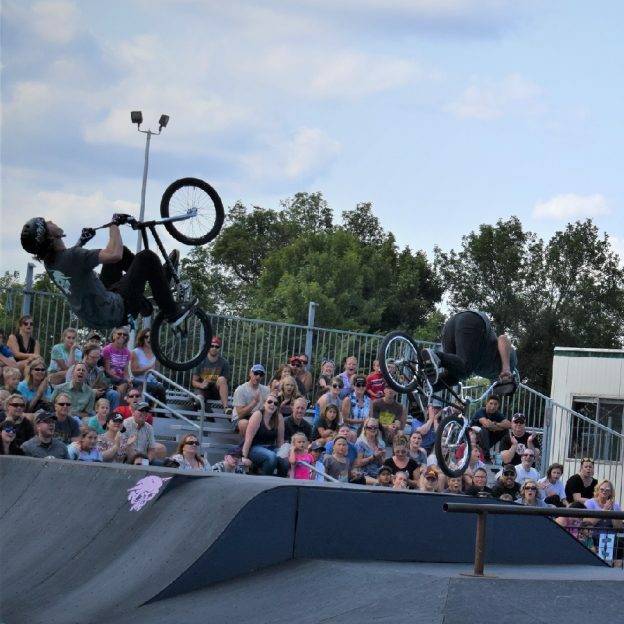 This entry was posted in Picture of the Day and tagged #nextbikeadventure, #unicycle, Adrenaline fun, Great Minnesota Get Together, Minnesota State Fair, Twin Cities Unicycle Club, X-Zone on September 15, 2018 by Russ Lowthian. Bike Pic Sept 07, yeah it’s Friday, another fun year at the fair! 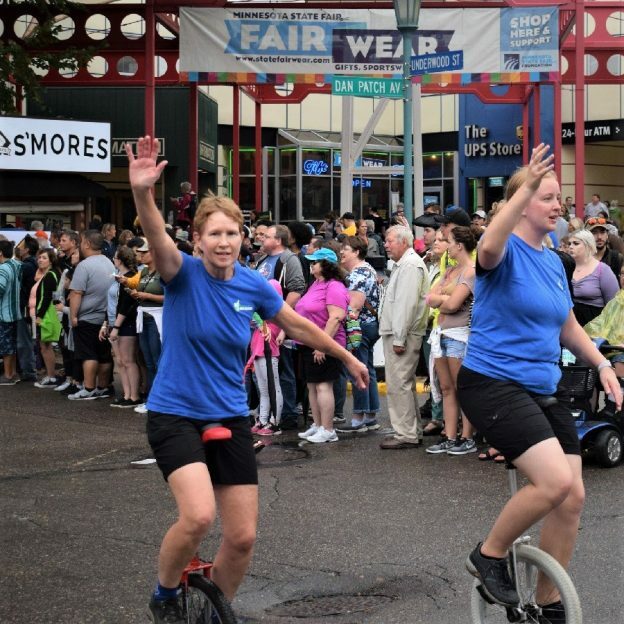 This Bike Pic Friday we are showing you a couple biker chicks, from the Twin City Unicycle Club, riding their monocycle in the daily parade at the Minnesota State Fair. With record attendance this year it looks like everyone had a good time! This entry was posted in Picture of the Day and tagged #unicycle, Adrenaline fun, free bike maps, Great Minnesota Get Together, Minnesota Bike guides, Minnesota State Fair, monocycle, State fair parade, Twin Cities Unicycle Club, X-Zone, yeah its Friday on September 7, 2018 by Russ Lowthian. Remove the hassle factor going to the Minnesota State Fair and see more! 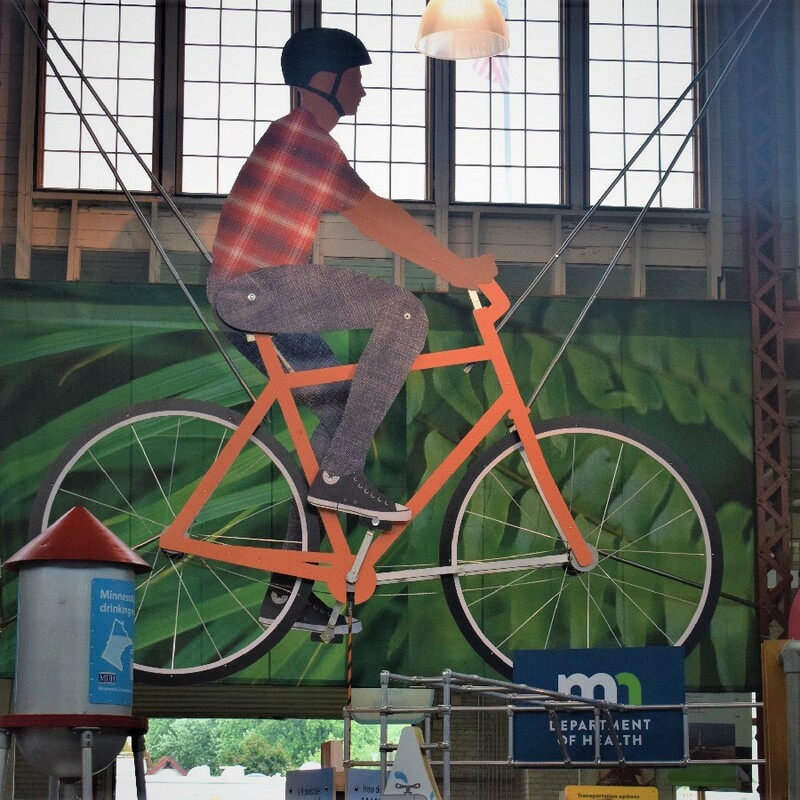 With record attendance the first few days of the 2018 Minnesota State Fair, using your bicycle is a comfortable mode for getting there. 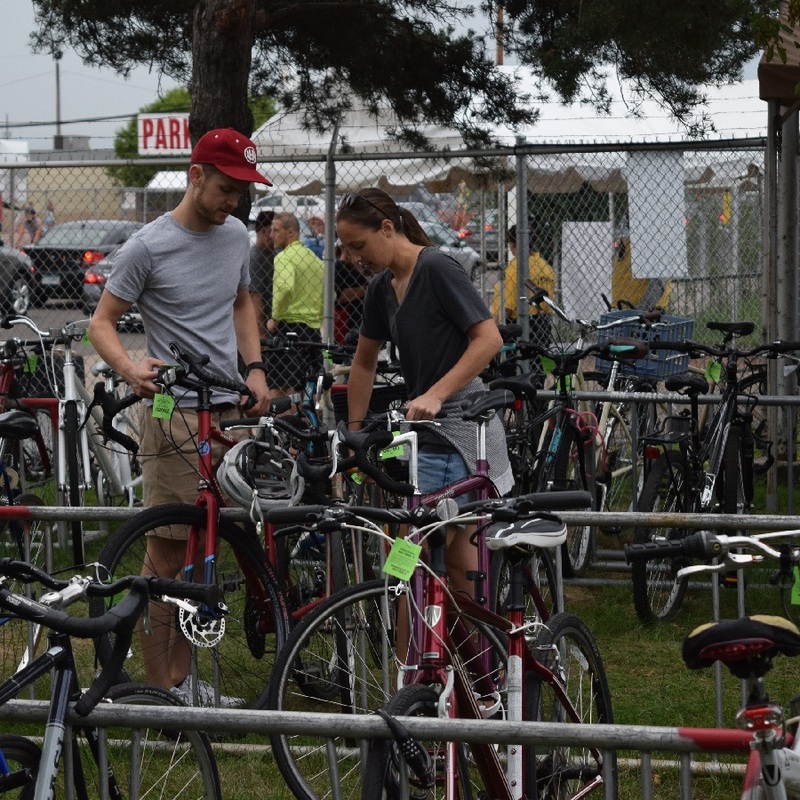 If you haven’t yet and are planning on attending this year’s ‘Great Minnesota Get-together’ bicycle parking is still free. 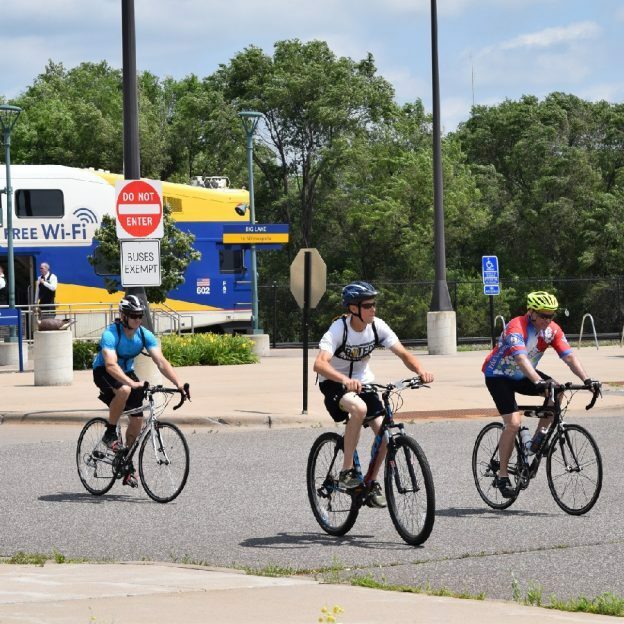 Ride your bike from home, park your car a few miles away with your bike along or incorporate the Metro Transit Bus for a multi-modal commute. Commuting by bicycle can take the hassle factor out of visiting the fair. Besides, it is a great way to burn-off some those calories from all of the fun things you can eat on a stick. This year the fair started on August 23rd and runs through Labor Day, September 3rd. So there is plenty of time to go, plan your mode of getting there and what you will see. South Bike Lot: Como-Snelling Gate (#6) A popular location, this bike corral fills fast so if it is not to inconvenient, plan your route to one of the two above locations. Now that you are at the fair walking around you can think about what you might want to purchase. 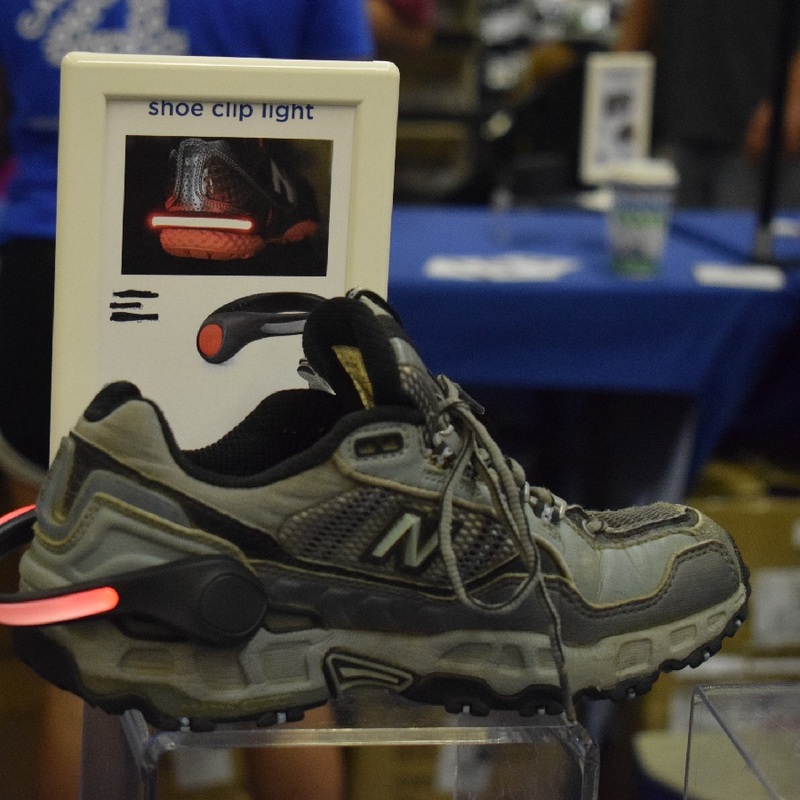 Maybe a shoe clip light at the both under the Grandstand so you are more visible when out riding? You will find out more on where to purchase this item and other fun things on the free Minnesota State Fair App, (Apple App Store or Google Play store). 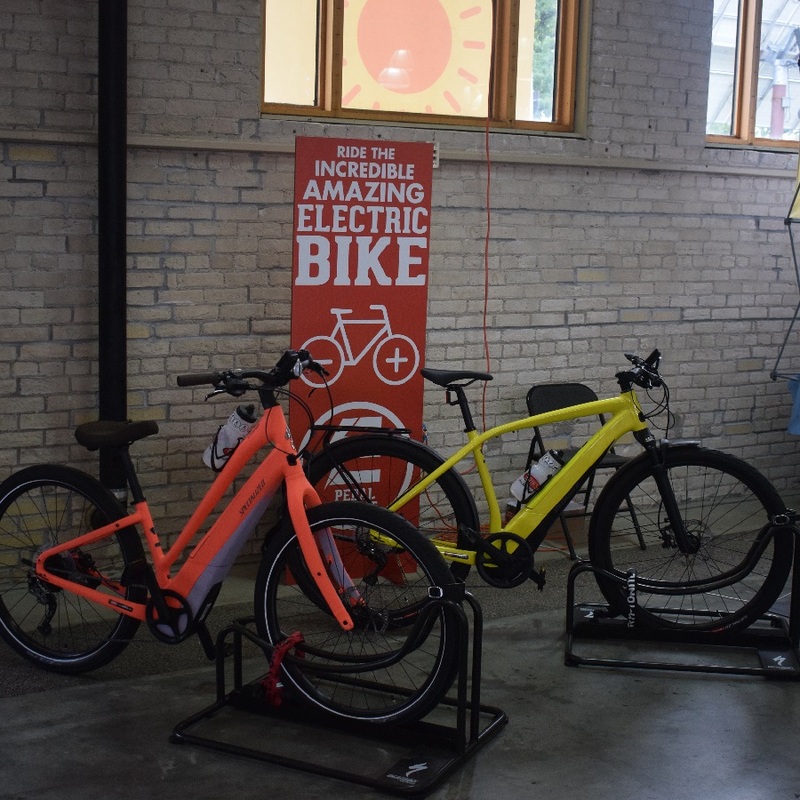 At the Minnesota State Fair, check the latest in environmentally friendly exhibits, like the e-bikes, in the Eco Progress Center. IN THE ECO PROGRESS CENTER SEE THE LATEST ON ELECTRIC ASSIST BIKES (e-bikes). Need a new Minnesota Bike Map? In the Education Building, look for the Minnesota Department of Transportation booth where you will find the latest maps free of charge. Didn’t get a printed copy of our 2018 Minnesota Bike/Hike Guide? Pick up a copy at the Minnesota DNR Information Center, while supplies last. At the Minnesota State Fair parade, its fun to see the uni-cyclists riding among the floats and marching bands. Each day at 2 p.m. on Cosgrove Street you can watch the Minnesota State Fair Parade. 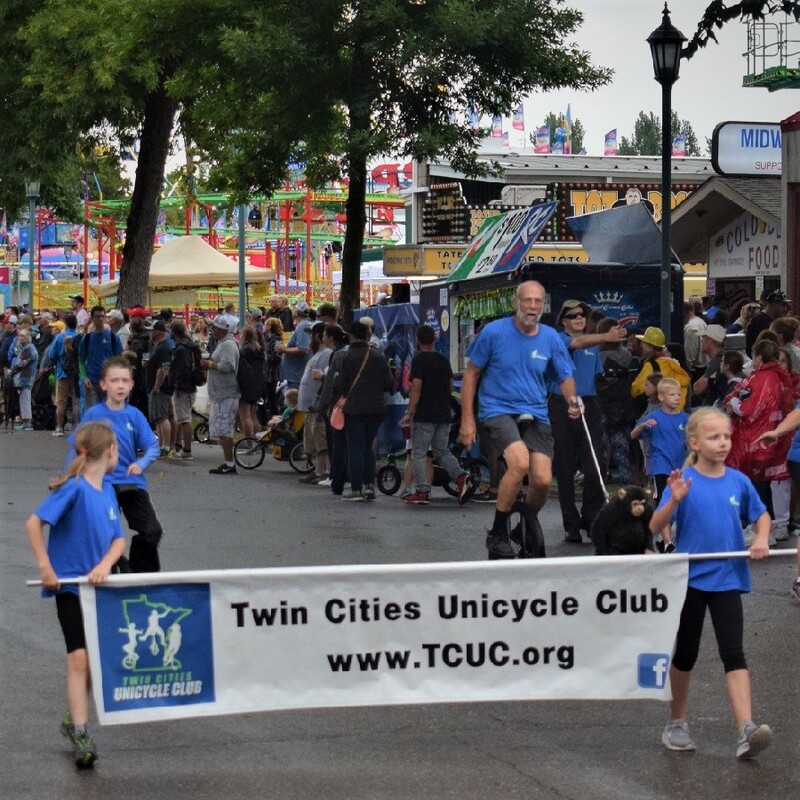 If you are lucky you might see the Twin Cities Unicyclists Club performing. These single wheeled bicyclists always do some fun tricks as they pedal along the parade route. As the parade ends near the Eco Progress Center you can check out the latest exhibits in environmental friendly living. Firecracker Shrimp Stuffed Avocado, Irish Tater Kegs and Nordic Waffles to name a few. And that’s for starters, some of the tried and true treats I normally only indulge in once a year included: the Bacon Fluffernutter (say that ten times), the triple truffle trooter, Memphis Tochos and a cup of maple cream nitro cold press coffee. In a new location on Machinery Hill you will find the stunts being performed on bikes and skateboards. 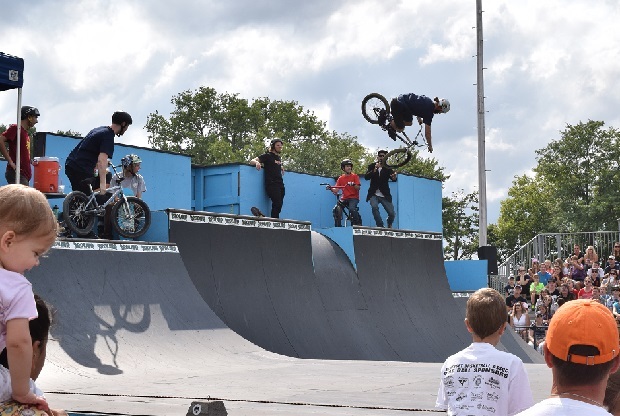 Here watch some BMX’ers and skateboarders perform some high-rising stunts right in front of you on the new amazing exhibition course they have laid out. Hope this helps you plan for your next visit to the Minnesota State Fair. If we missed something you may have discovered? Please let us know, please leave a comment below. Thanks for viewing our latest review and Have Fun at the Minnesota State Fair, Share your experiences below! 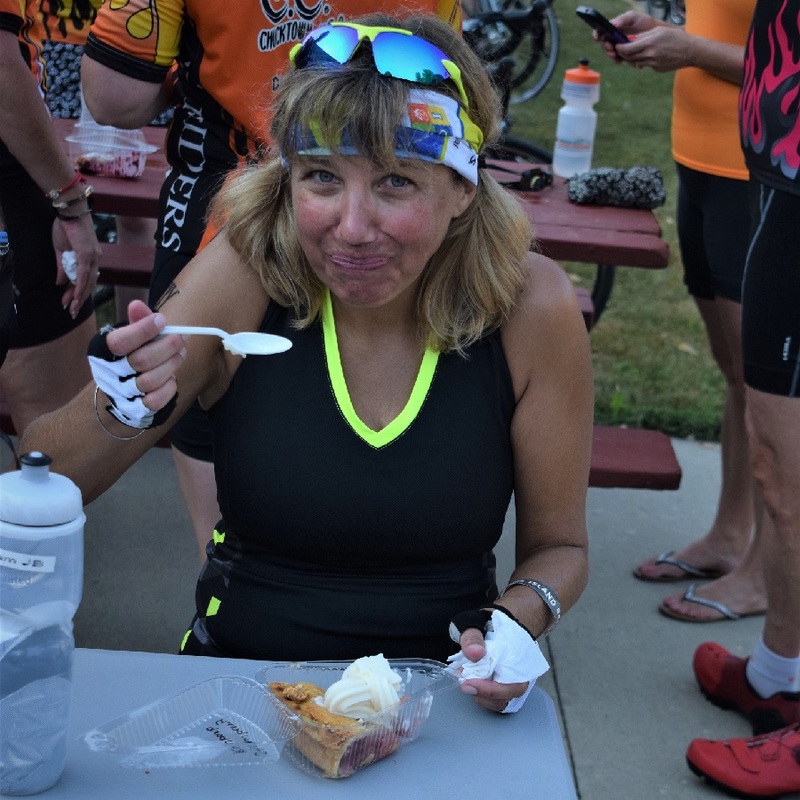 This entry was posted in Destinations, News and tagged #nextbikeadventure, E-bikes, free bike maps, Great Minnesota Get Together, less parking hassle, less traffic hassle, Metro transit, Minnesota Bike guides, Minnesota State Fair, multi modal bike adventure, Secure bike corral parking, St Paul Smart Trips, Twin Cities Unicycle Club, X-Zone on August 26, 2018 by Russ Lowthian.